Another rejection but parents maintain vaccine is linked to their son's death from The Detail on Vimeo. THE parents of a Co Down teenager who died just days after receiving a combined Measles and Rubella vaccination as part of a government campaign have vowed to continue their fight to prove that the injection caused his death. 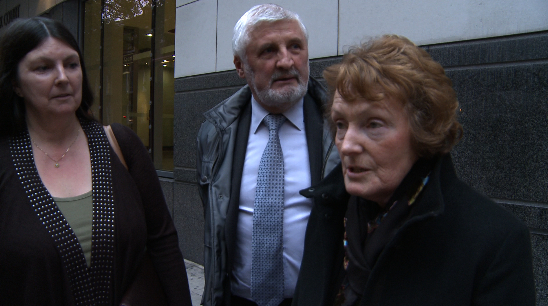 Anne and Harry Coulter, from Hillsborough, have spoken to The Detail after learning that an appeal they lodged with the government’s Vaccine Damage Payments Scheme has been refused. They were first turned down for compensation in 1997 and say the system is massively weighted against those who challenge the UK’s vaccination regime. Their 15-year-old son Christopher was found dead in his bed a week before Christmas in 1994, 10 days after receiving the MR vaccine at school. Ten days is highly significant as this is the exact point when any reaction caused by the vaccine is expected. The vaccine was part of a national immunisation programme implemented by the Department of Health. We first reported on Christopher’s case in March 2011. After examining the case, Attorney General John Larkin QC ordered last year that a second inquest must be held into the teenager’s death. The original inquest in 1995 concluded that Christopher died from an epileptic fit – even though there was no personal or family history of epilepsy. As preparations for the inquest continue, Mr and Mrs Coulter spoke to The Detail about their experience at the tribunal hearing and how they feel about the outcome. The Coulters claim that the tribunal was weighted against them from the start and they have also raised serious concerns about how their case was handled – including the close links expert witnesses had with the vaccination programme, late evidence being accepted by the judge and a long delay in the decision being issued. Despite the negative outcome from the tribunal, the Coulters’ solicitor Padraig Ó Muirigh said that suspicion remains of the involvement of the MR vaccine in Christopher’s death and that it is of huge public importance for the matter to be explored by the second inquest. The Detail travelled with the Coulters to the day-long Vaccine Damage hearing in London in October 2012. Jackie Fletcher who founded the high profile parents’ campaign group Jabs – Justice Awareness & Basic Support – also supported them at the hearing. The respondent in the case was the Secretary of State for Work and Pensions. The three panel members were a judge (Mr M Hindley) and two medical members (Professor Lingham and Dr Fernando). Speaking after the hearing, Anne said that the tribunal just discounted the vaccination “as they have done for the last 17 years”. One of the government’s expert witnesses, Dr Baxter, did not disclose to the panel that he was a member of the Joint Committee on Vaccination and Immunisation until he was directly challenged by Mrs Coulter about this during the hearing. The government’s other expert witness, Professor David Salisbury, is Director of Immunisation at the Department of Health where he is responsible for the national immunisation programme. Anne continued: “The day started with a discussion about whether Christopher met the 80% level of vaccine damage needed before he died. This had not been an issue before the hearing and we found it very hard to understand how they could be considering stopping the hearing on this point. It was eventually decided that they would proceed. “The audio recording equipment wasn’t working and there was no stenographer there to take notes. We felt there should have been better recording of an important meeting which involved the death of a child. “The video link to our expert witness was also flawed with a time delay which made it difficult for Dr Kinsbourne (the Coulters’ expert witness) to hear and respond to questions. “They kept saying that Christopher had had the measles infection despite me reiterating several times that he had not and had just had the vaccination in his second year of life. “Going to London to the tribunal was not a route that we wanted to take but it was a way to try and get answers. Unfortunately because the government’s expert witnesses were linked with the vaccination we were never going to get a fair hearing or get those answers that we so want. They were never going to look at it from our point of view. Harry said that they had approached the hearing “with heavy hearts” and left feeling shattered. He said he was slightly comforted to learn later that one of panel members – out of three – had supported their claim. This member was not individually named in the statement of reasons. “This showed somebody was willing to listen," Harry said. "You cannot get away from the fact that there was nothing else which caused Christopher’s death other than he had the vaccine 10 days before he died. “I would like to say that one panel member was very nice to us and tried to put us at ease during questioning. But apart from this person, we found the tribunal a cold and uncomfortable experience. “We have always said we are just looking for the truth. Give us the answer and we will be able to grieve in a different way." Jackie Fletcher, who received compensation at a similar tribunal after her son Rob was severely disabled by the MMR vaccine, said the hearing was “a gruelling ordeal” for the Coulters. Speaking to The Detail in London, she said: “They did themselves proud and Christopher’s memory proud. 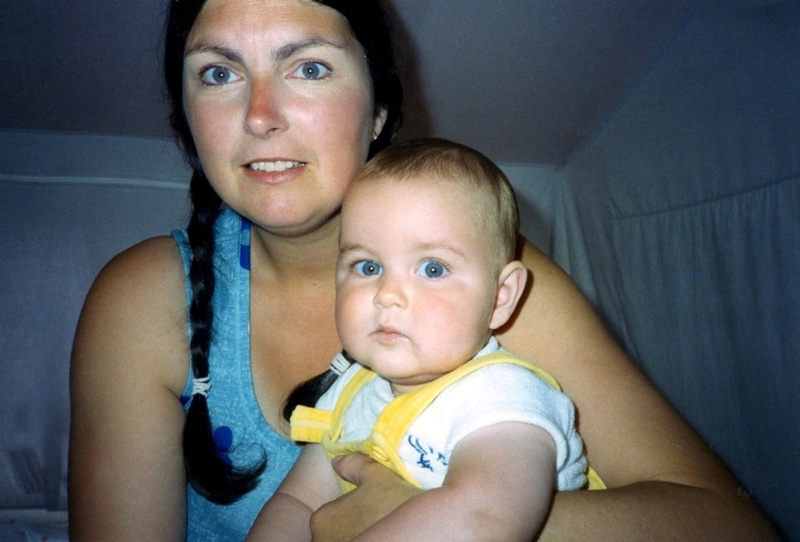 It took me 17 years to get justice for my son who was damaged with the MMR. I’m hoping that Mr and Mrs Coulter will finally get justice for their son Christopher. It took almost five months for the first-tier tribunal to issue its decision notice and 10 page statement of reasons. Anne describes the wait as “absolutely horrendous”. The majority decision was that the Coulters were not entitled to compensation. One of the panel members supported the Coulters’ view but the other two members rejected the argument that the combined vaccine caused Christopher’s sudden death. 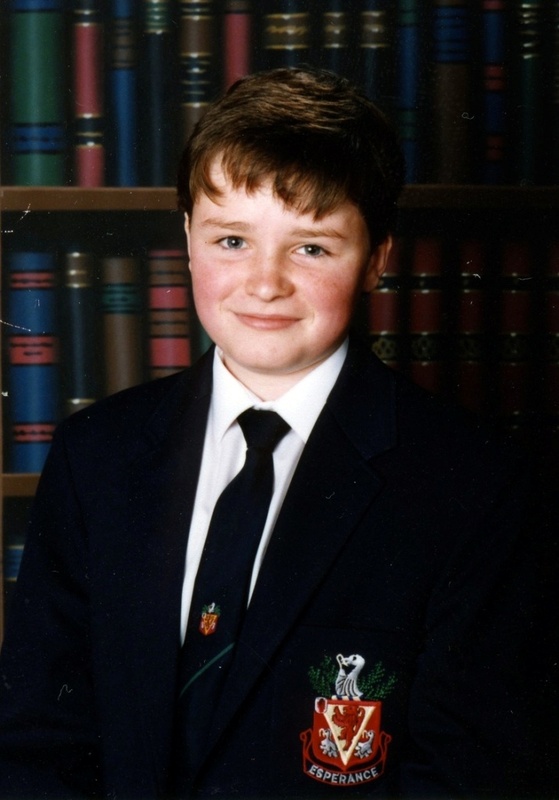 The statement of reasons for the decision, signed by District Tribunal Judge Mr M Hindley, said that the tribunal does not have to provide a specific answer to the question of what caused the “disablement” and, in this case, Christopher’s subsequent death. He apologised for the delay in issuing the decision saying “one of the tribunal members was taken very unwell some time after the hearing and this involved a period of recuperation”. The judge’s statement says there was some agreement between the experts but “what is not agreed on is what actually triggered the series of events which resulted in Christopher suffering a catastrophic first seizure leading to his sudden and unexpected death”. The Coulters’ expert witness was Dr Marcel Kinsbourne, a consultant paediatric neurologist from Massachusetts in America. The statement of reasons says that Professor Salisbury acknowledged the “well known but rare” association between the measles vaccine and febrile convulsions in young children but that he went on to state “such seizures do not occur in previously neurologically normal vaccinated fifteen year old adolescents”. Dr Baxter, who was introduced as an expert witness just days before the hearing, concluded that it “was more likely than not” that Christopher had a sudden unexplained death in adolescence. However, the majority view of the other two panel members was that it is not enough to show that there is no established cause of death and so conclude that the “disability” must have been caused by the vaccination. They said that the claimant has to establish the causal link. The two panel members who rejected the Coulters’ claim also addressed the issue of potential conflict of interest. They also acknowledged that it was not disclosed prior to the hearing that Dr Baxter was a member of the Joint Committee on Vaccination and Immunisation. This committee advises the Secretary of State for Health on matters relating to the provision of vaccination and immunisation services. However, they said he was giving evidence as an expert and claimed: “if anything, this confirms and underlines his expertise in these matters”. The government accepted in 2010 that Jackie Fletcher’s son Rob was severely disabled by the MMR vaccine he was given in 1992 when he was 13-months-old. He received £90,000 in compensation under the Vaccine Damage Payment Scheme. To read Rob’s story, click here. Jackie gave evidence to the Coulters’ tribunal hearing about a number of parents from across the UK who believed or suspected that their child may also have had an adverse reaction to the vaccine used in the same programme as Christopher. A child in Christopher’s class also had a seizure around six weeks after receiving the vaccination. In their statement of reasons, the majority view tribunal panel members said they did not have the necessary evidence to make any specific findings of fact in relation to these other children. However, The Detail has seen a document produced by the government in 1995 which reviewed “adverse events” that occurred during the 1994 MR campaign. This appears to provide clear evidence of reports of reactions experienced by other people. This paper stated that the department received reports of 2,735 adverse reactions across the UK – 530 of which were serious. Ninety-one reports involved serious neurological reactions. There were reports of convulsions affecting other children who had received the combined MR vaccine. The Department for Work and Pensions (DWP) has also confirmed that, as of March 2011, almost £2m had been paid out in compensation to 25 people in Northern Ireland severely disabled by vaccines since 1979. See our previous report on reactions to vaccinations given in Northern Ireland. The long legal discussion about whether or not Christopher met the “minimum 80% of disablement” test before his death needed for the case to go ahead. This discussion involved the two legal teams but not Christopher’s parents. The audio recording equipment was not working and no stenographer was present. The official record was therefore taken in handwritten notes by the judge. The video link with the Coulters’ expert witness in America was of poor quality with audio and time delay problems. Late evidence from one of the government’s expert witnesses was accepted just two working days before the hearing. This enabled him to attend an act as an additional expert witness at very short notice and gave little time for the Coulters to read and respond to his report. The two experts who gave evidence on the government’s behalf have strong links with the government’s vaccination programme. Dr Baxter did not declare this to the panel in advance. A reply to the Coulters’ letter was written by Regional Tribunal Judge Jeremy Bennett who said it was not appropriate for Judge Hindley to enter into correspondence with a party about their own proceedings. He said that the Social Security and Child Support jurisdiction “operates a less formal procedure for hearing appeals than that adopted in the courts or some other tribunals”. He said the purpose of this was to assist the appellants who act in person to present their case. “The procedure rules allow the tribunal to adopt its own procedure at the hearing and does not set down strict time limits for steps to be taken by the parties.” He added that the tribunal can accept evidence submitted after the period stated. Mr Bennett said that the tribunal and parties to the proceedings were entitled to raise the matter of Christopher’s level of disability. He said that proceedings in the first-tier tribunal are not normally recorded, a stenographer is not employed and the normal situation is for hand written notes to be taken by the judge. Jackie Fletcher also wrote to Shadow Health Secretary Andrew Burnham to raise concerns about the hearing. Mrs Fletcher asked Mr Burnham to raise the Coulters’ case with the Minister responsible for the Vaccine Damage Tribunal service. She is still awaiting a reply. The Coulters’ next step in their campaign is the second inquest ordered by the Attorney General. They hope that this will result in an acceptance of their long argued claim that the vaccine did play a role in Christopher’s death. The Coulters’ solicitor for the inquest is Padraig Ó Muirigh. He said that, despite the majority decision of the London tribunal, it is clear that one of the medical members of the tribunal was more persuaded by the evidence provided by the Coulters’ expert witnesses. Mr Ó Muirigh continued: “The suspicion remains of the involvement of a MR vaccine administered by state health agencies to children in the death of Christopher Coulter. “It is clearly desirable that fuller consideration be given to the evidence in this case in order to make detailed findings of fact. “It is of enormous public importance that the possible role of the MR vaccine in the death of an apparently healthy boy is fully explored in a new inquest. “Article 2 of the European Convention on Human Rights deals with the right to life and places a duty on the state to safeguard life and take measures to investigate following a death. Anne said: “I would like the inquest to provide the answers that we have been looking for and I really hope that it will be successful.